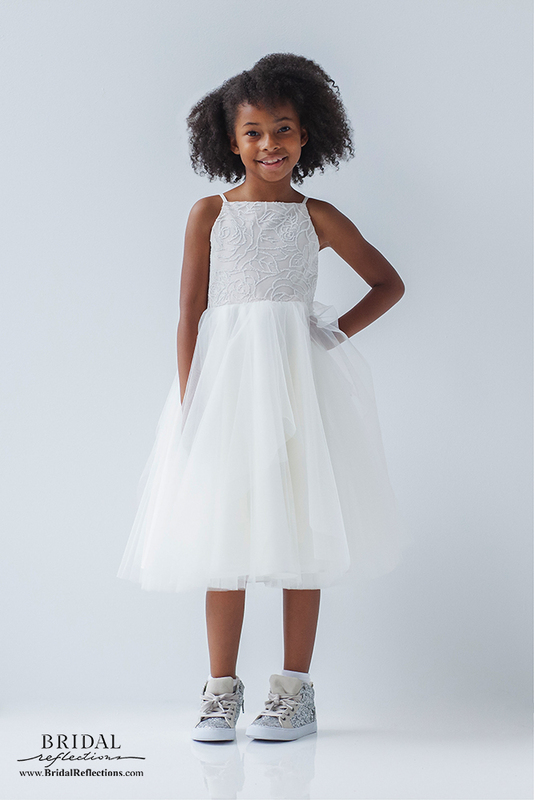 La Petite – The most precious and petite flower girl styles designed by Hayley Paige. Perhaps youthful charm and beauty are the first things you notice when meeting wedding gown design sensation, Hayley Paige. But after a relatively short time in her company, you are quickly convinced of the scope of her fashion vision and her determination to accomplish an ambitious set of design and business goals. As head designer of the Hayley Paige, Blush by Hayley Paige, Hayley Paige Occasions and La Petite collections at JLM Couture, her dresses are stunningly fresh. And early in her career, her designs have already received global recognition.